We have called on Government Ministers to take urgent action to ensure that the latest post-Brexit immigration proposals will not damage the county’s £2.9billion tourism sector. The Government’s Migration Advisory Committee has recommended new restrictions for low-skilled migrant workers when the UK leaves the European Union next Spring. However, the recommendations have sparked renewed concern from businesses locally about the potential impact on catering and hospitality businesses. Our research clearly demonstrates that due to the seasonal spikes of visitors, many hospitality businesses require a unique mix of labour – including both overseas workers and local employees – to fill the labour gaps throughout the year. In our role as the county’s official Destination Management Organisation, Cumbria Tourism has urged to Tourism Minister Michael Ellis and all six of the county’s MPs to support its calls and ensure they are heard at the highest level. This has prompted Westmorland and Lonsdale MP Tim Farron to write to further Government Ministers including the Home Secretary, the Secretary of State for Exiting the European Union and the Secretary of State for Business, Energy and Industrial Strategy. 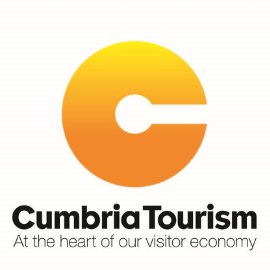 Managing Director of Cumbria Tourism, Gill Haigh, says, “If implemented, this policy has the potential to compromise the growth of our £2.9billion tourism sector and destabilise the county’s economy as a whole. Cumbria’s population is less than half a million and aging fast, which means there is a limit on the number of eligible working age people. The current seasonal intensity also adds to the recruitment challenge. This means that European workers are an important asset here in Cumbria, so we are deeply concerned by recommendations that appear to make it harder for ‘low skill’ EU nationals to enter and support our tourism sector. Cumbria Tourism’s ‘health check’ of businesses across the sector is also helping to gather more concrete evidence to help strengthen the argument against the new immigration proposals. There is still time for business to complete the organisation’s Business Performance Survey, which asks specific questions about Brexit and potential staffing issues, giving individual businesses the chance to comment anonymously about their individual challenges.